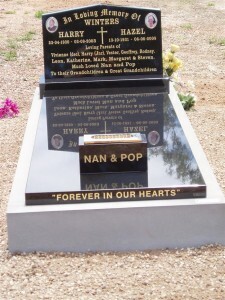 The words and images engraved on a monument are a way in which we can remember those who have passed away and express the loss we feel. Also referred to as a headstone or gravestone, a monument is the physical marker that rests above the burial of your loved one. W Larcombe & Son began producing monuments in Dubbo in 1893 and grew to become one of the largest and most respected firms in regional New South Wales; a position we still enjoy today. 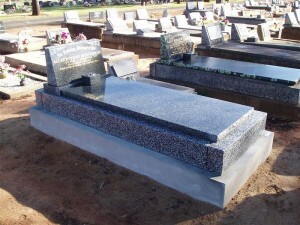 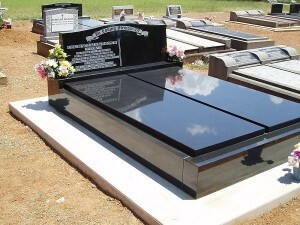 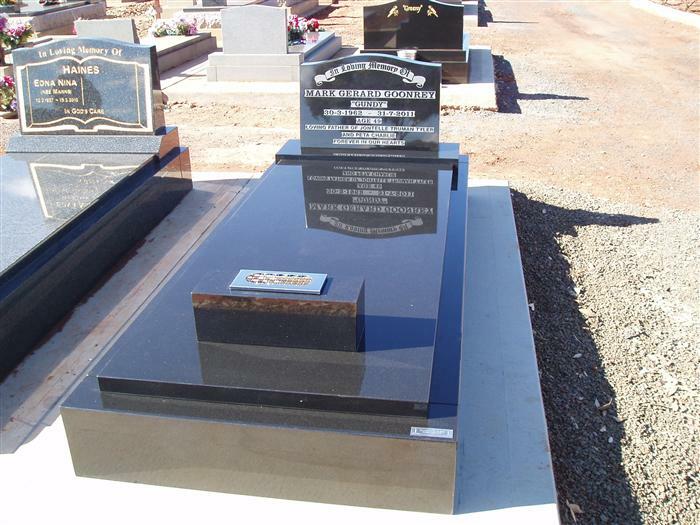 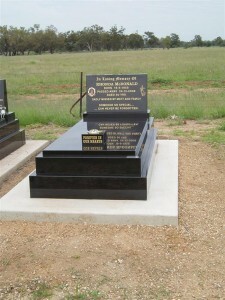 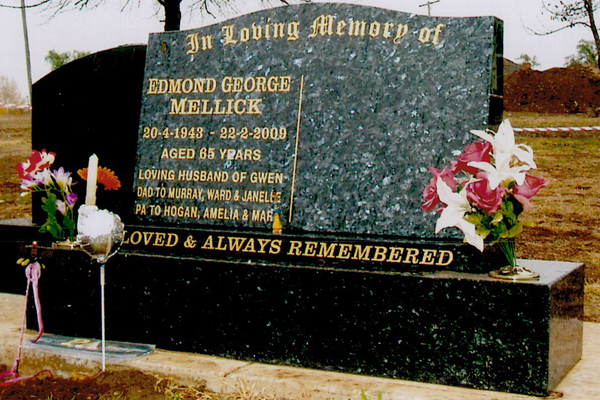 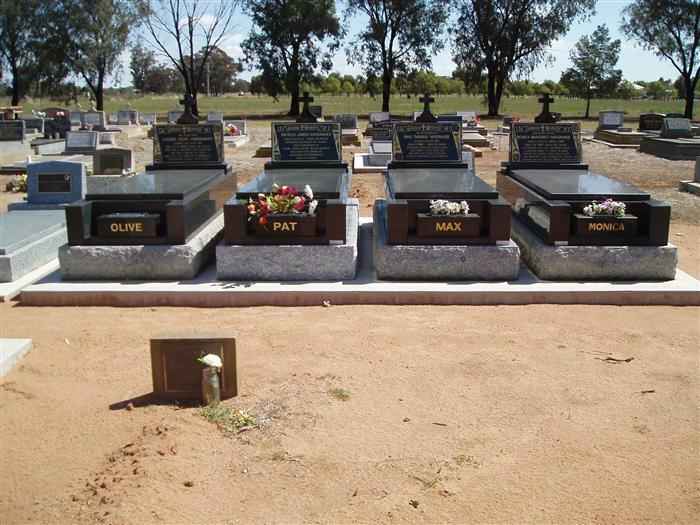 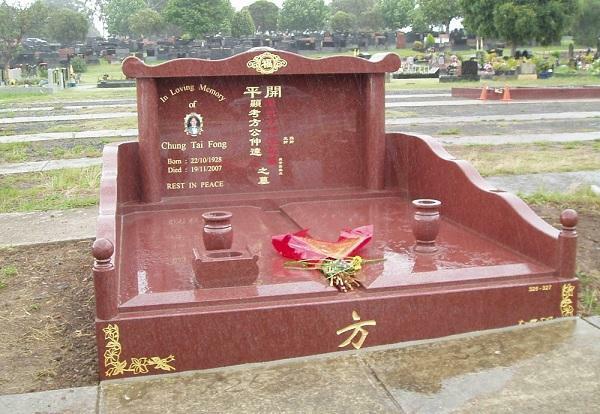 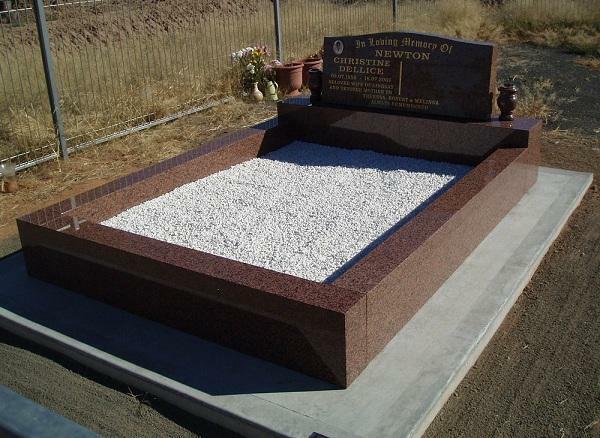 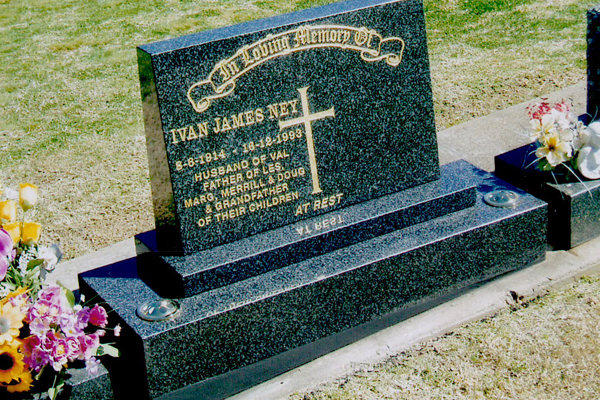 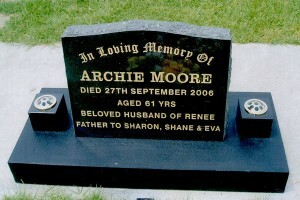 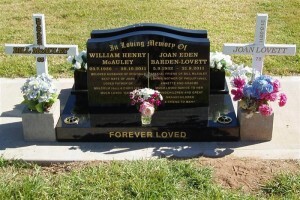 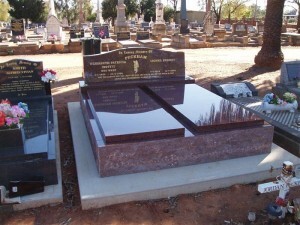 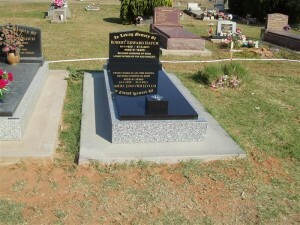 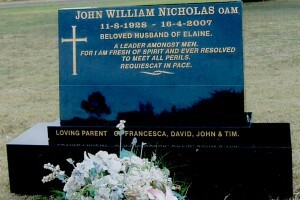 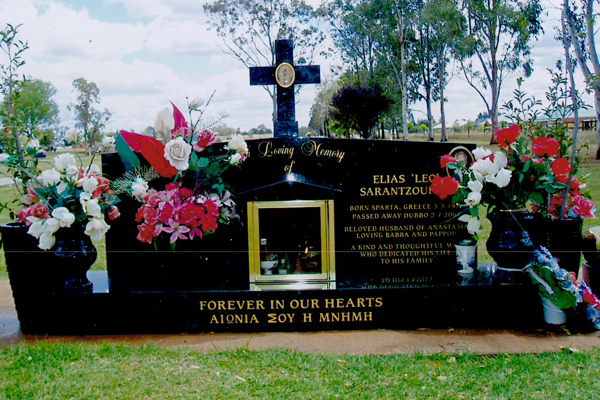 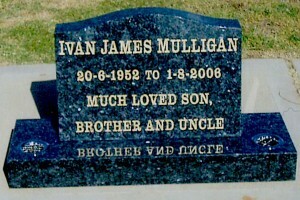 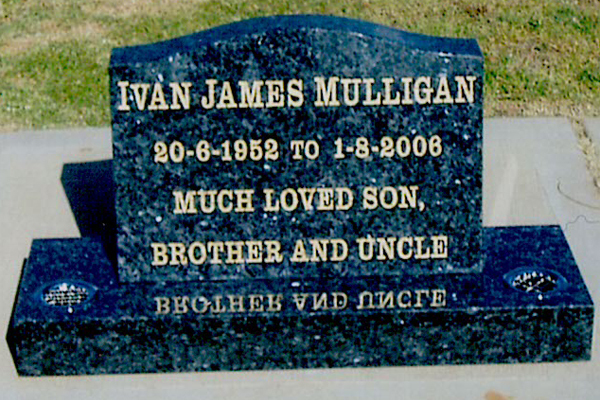 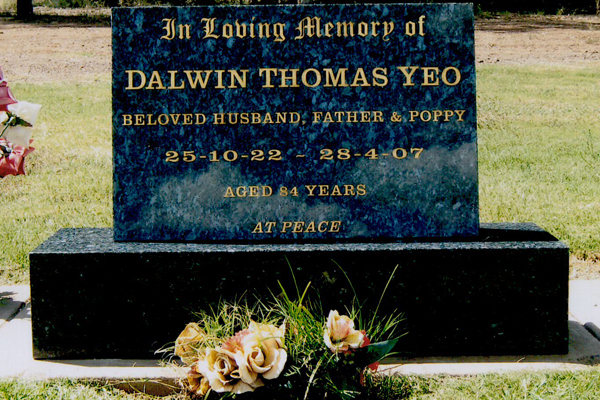 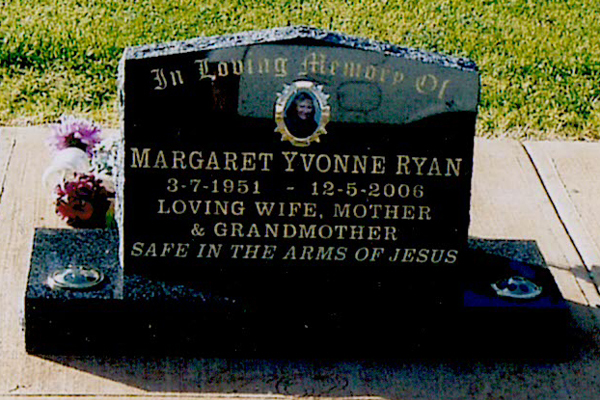 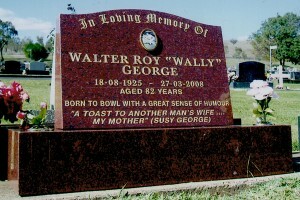 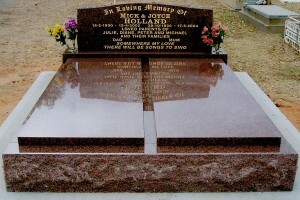 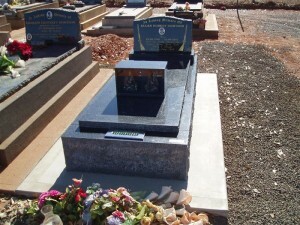 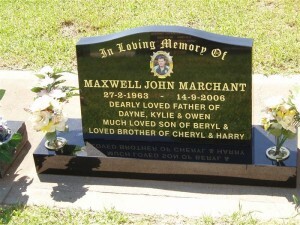 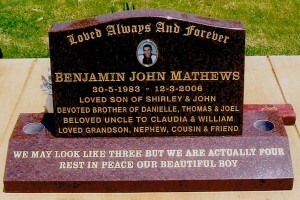 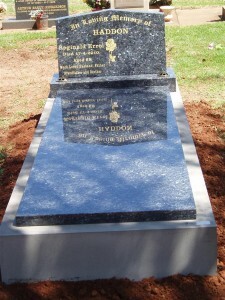 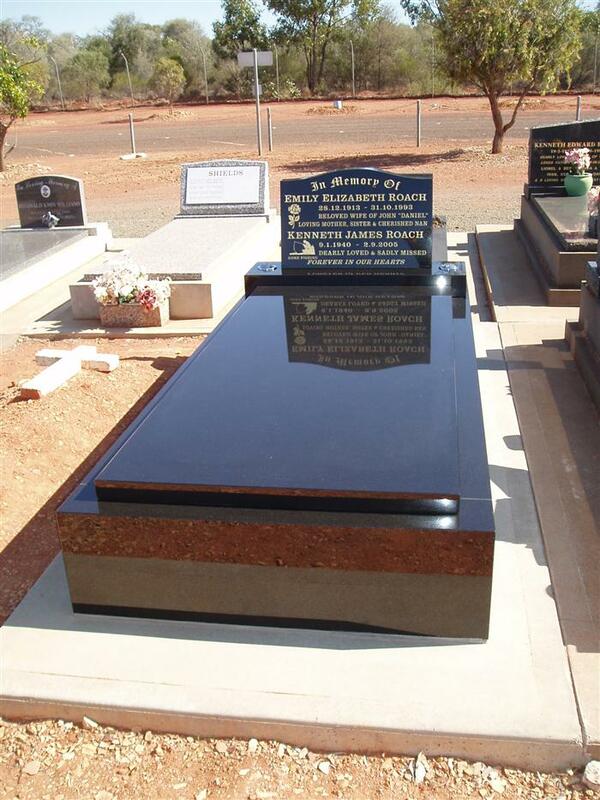 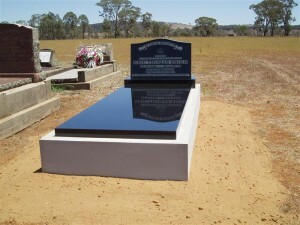 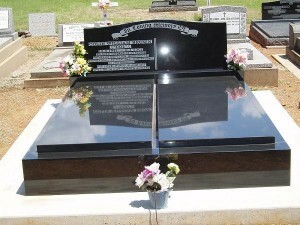 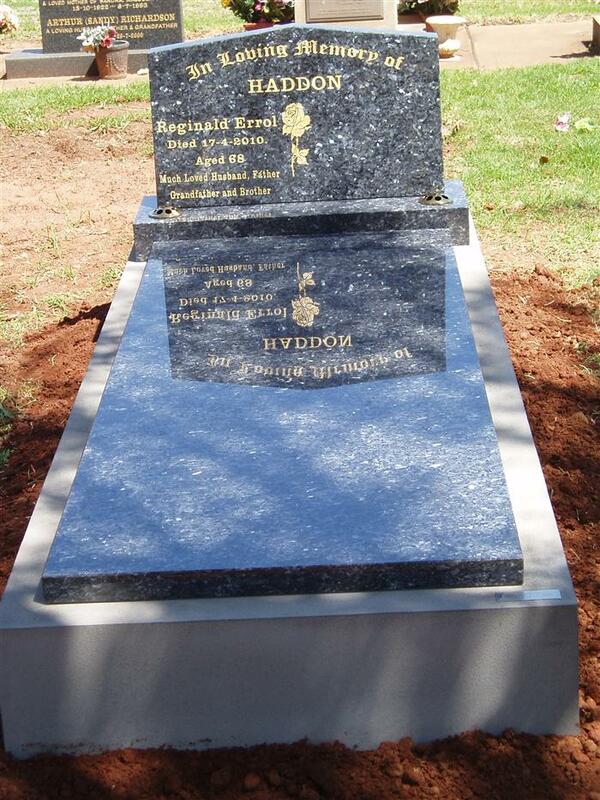 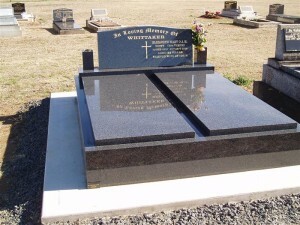 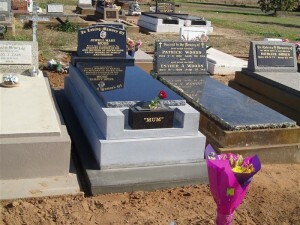 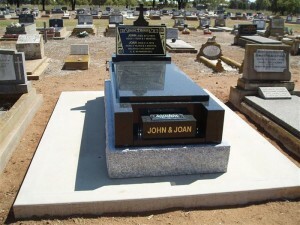 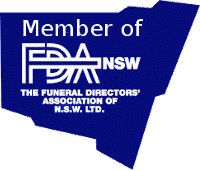 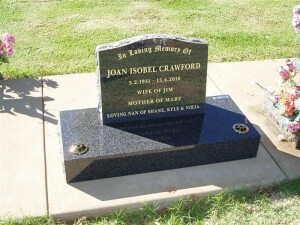 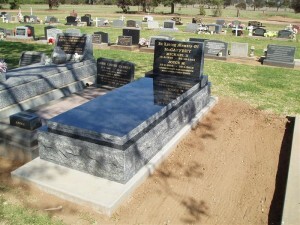 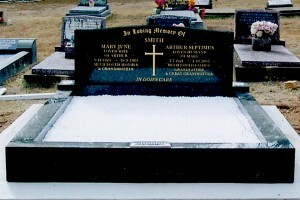 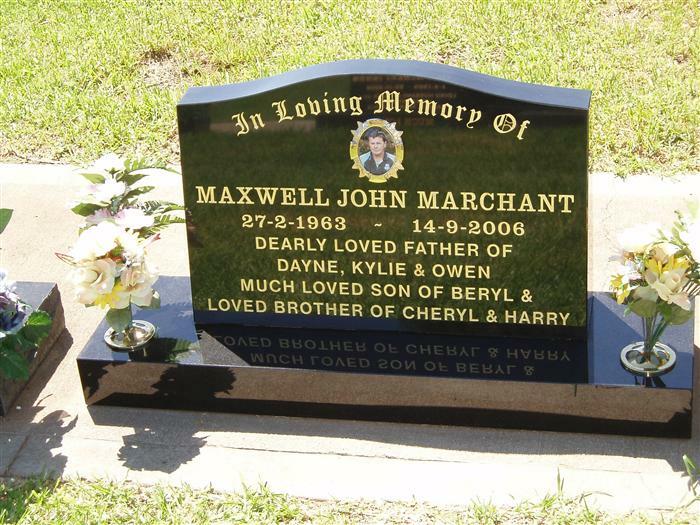 Our monuments can be seen in many cemeteries around New South Wales. We have a fully equipped factory which is capable of cutting and polishing stone as well as the capability to undertake large scale repairs to existing monuments. 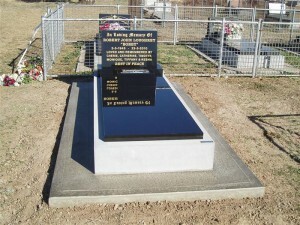 All design, production and letter cutting is done on our premises. 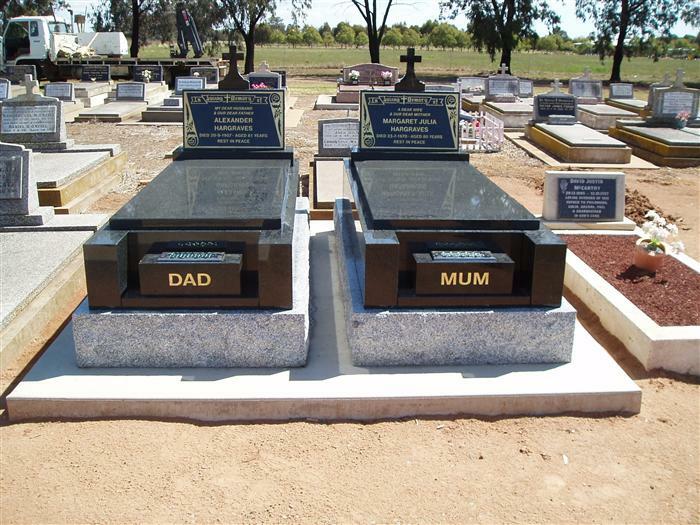 We have the technology and the capability to install lawn cemetery monuments in selected cemeteries within 4-5 working days. 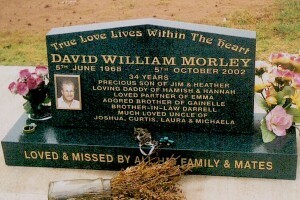 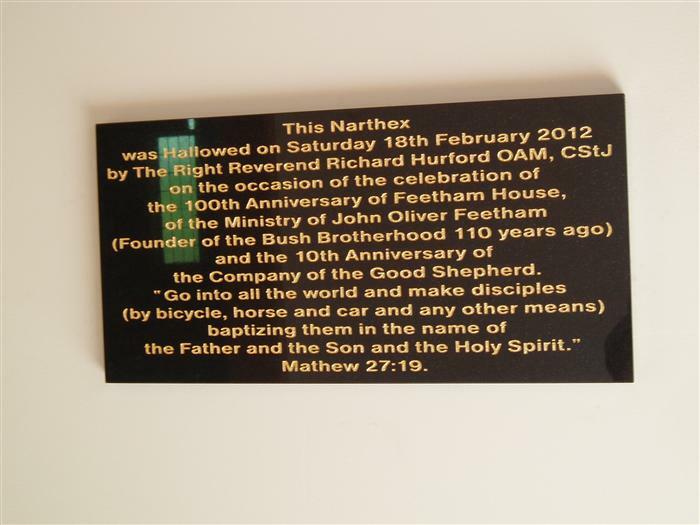 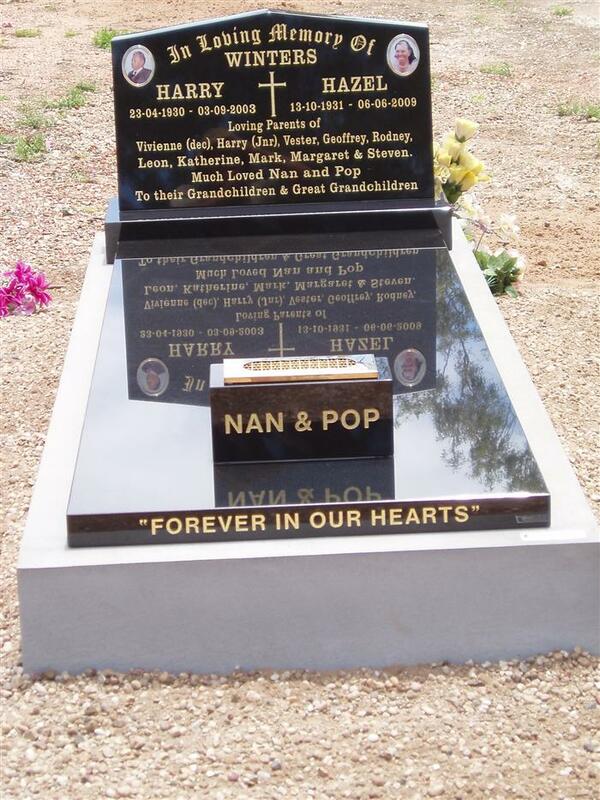 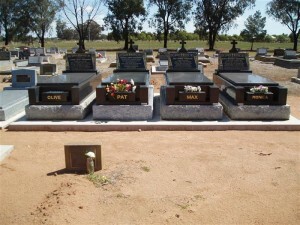 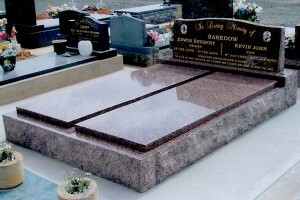 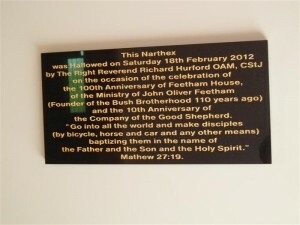 We also have a large selection of stock to choose from and can help you personalise a monument to honour your loved one. 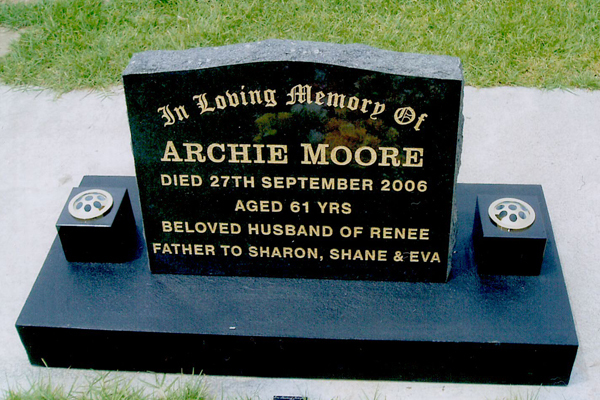 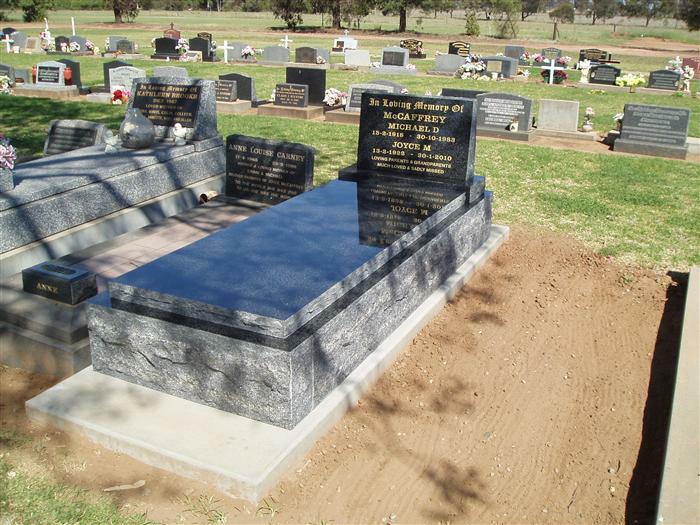 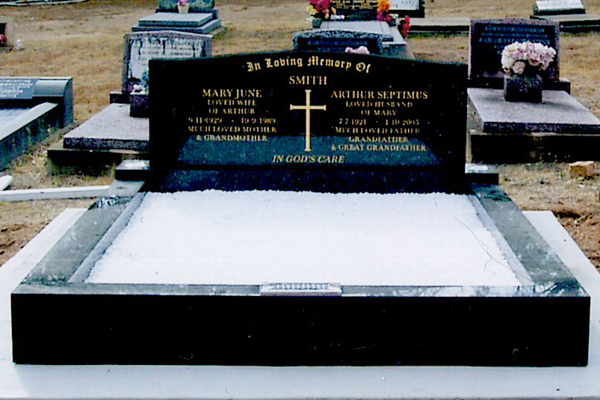 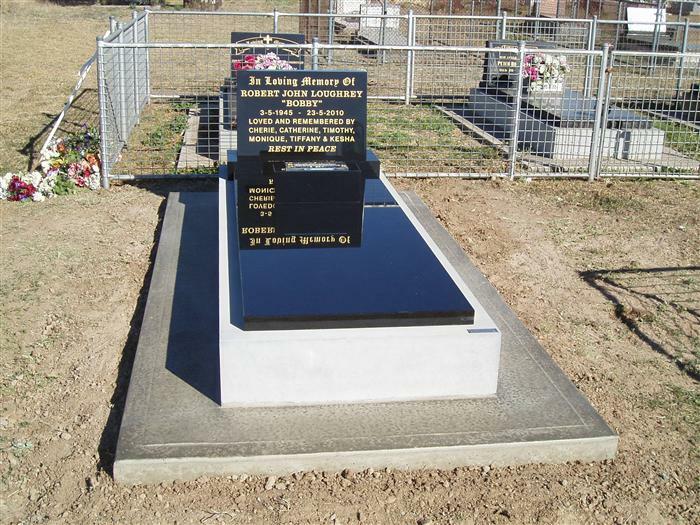 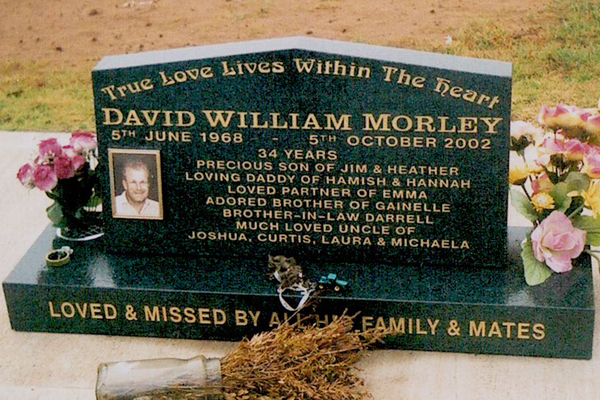 Time and weather can take its toll, and our workmen are skilled at restoring old memorials and headstones, so you can clearly see the personal engravings and inscriptions back to their finest.